I'm back with another Halloween makeup post. This time around, I solicited the BF's help in being my model. Last minute, we ended up going out on Monday, Halloween night. 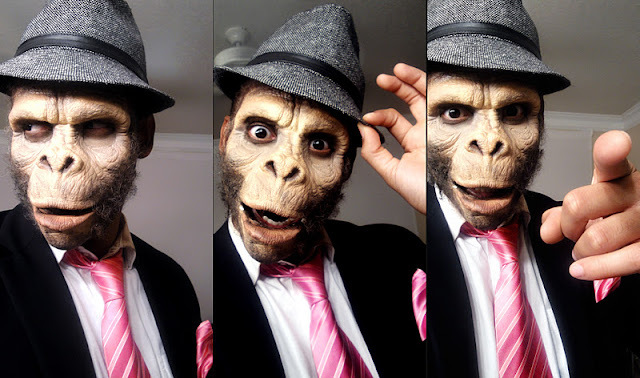 I had this ape man prosthetic that I hadn't had time to do a tutorial on this year, and I was happy to finally get a chance to give it a shot. I was super happy with the results! Last year was my first time really dabbling in appliances and latex prosthetics. This year, I did a little bit more through my Bloody Broken Bone and Zombie Housewife tutorials. If you want a dramatic transformation, prosthetics are the way to go! Here's a shot of the piece. Spirit Gum and Spirit Gum Remover is a must have - it helps to adhere the foam to your face and then you can easily remove it. 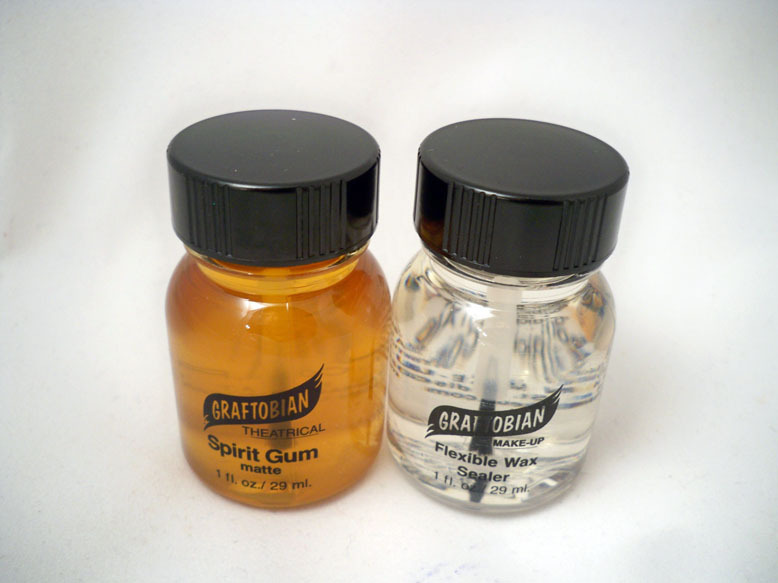 There's a shot of flexible wax sealer on the right, I thought about using this but didn't end up needing it. 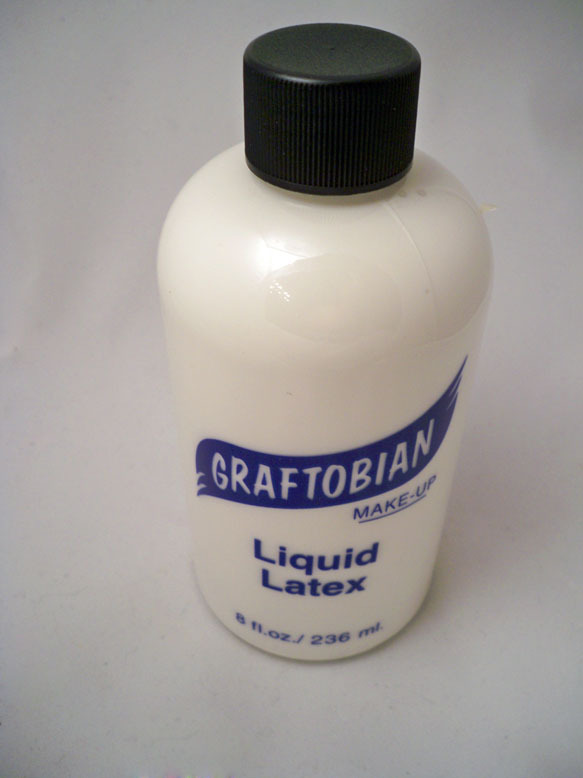 Liquid latex is definitely necessary to help blend in the edges. 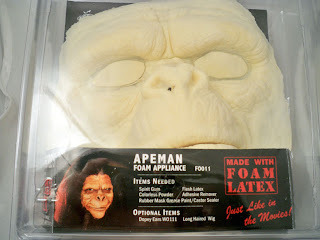 This time around, I also used modeling wax to help blend in the line between the real skin and the prosthetic. On top of that I put a few layers of liquid latex to seal it in. I also added different colors of Rubber Mask Grease Paint and Eyeshadow to give color and shade the face. The Grease Paint is essential because it looks skin like on a foam surface whereas traditional foundation does not. To add a realistic texture to the look, I used Crepe Wool and glued it to the prosthetic with spirit gum. It really mimics hair and fur and comes in a bunch of different colors. It comes braided like you see below. 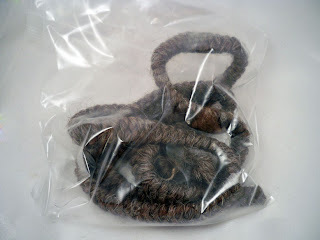 You just unravel the braid and trim off pieces. We went to a lounge before the party that night and he won the costume contest, yay! After that we went to the club and it was like he was a celebrity! People could not believe what they saw, lol. How many times did different girls come up to me asking permission to take a picture with him, lol. They were trying to find the lines to where the mask was, but people didn't realize it was the magic of makeup and prosthetics. Here we are at the end of the night getting ready to remove everything. Customary couple shot! It was definitely strange dancing and looking up at this guy all night, haha. Doesn't he remind you of a character from the movie Planet of the Apes? I was a mermaid by the way, lol. Per my last Halloween Post. Hope you all enjoyed. I can't wait till Halloween next year! FTC Disclosure: Makeup sponsored for tutorial. I am not paid to write this post or affiliated with the company. These are my honest thoughts and opinions. Amazing!! I love ur videos & ur blog : ) ur one of my favorite muas/youtube gurus ur videos are so help full & work is amazing! looking forward to more please follow my blog! What an amazing job you did! It looks like he stepped out of the movie. No wonder people were treating him like a celebrity. great job! 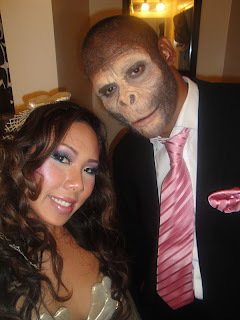 for a second i really was contemplating he's a true ape (oops no pun intended hihi). you're a superb MUA! holy planet of the apes... you did an AMAZING job..!!! Wow! Amazing talent you have. I love your blog!